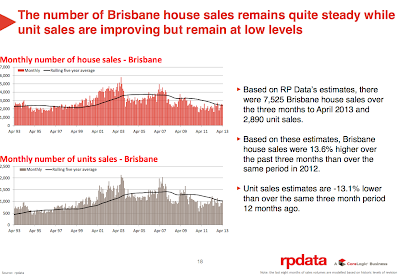 Brisbane Apartment: Will Brisbane Apartment prices go up or down? 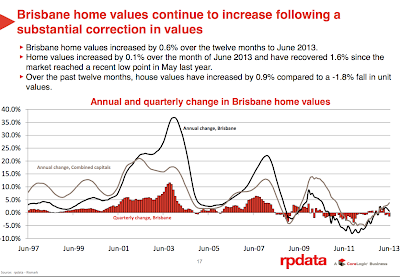 Brisbane apartment prices did worse that Brisbane house prices over the past financial year. 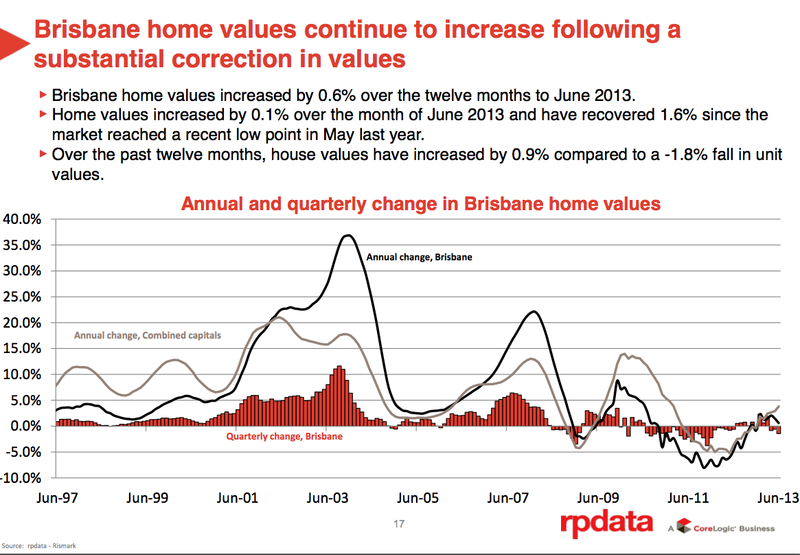 There was a fall of 1.8% in Brisbane apartment prices in 2012/13. The number of apartment sales are 13% low than 12 months ago. This does not sound like a booming or healthy real estate market. Some predict that apartment prices will slowly deflate, year on year, for a number of years to come. Others predict that with low interest rates and good population growth, then prices will start to increase. 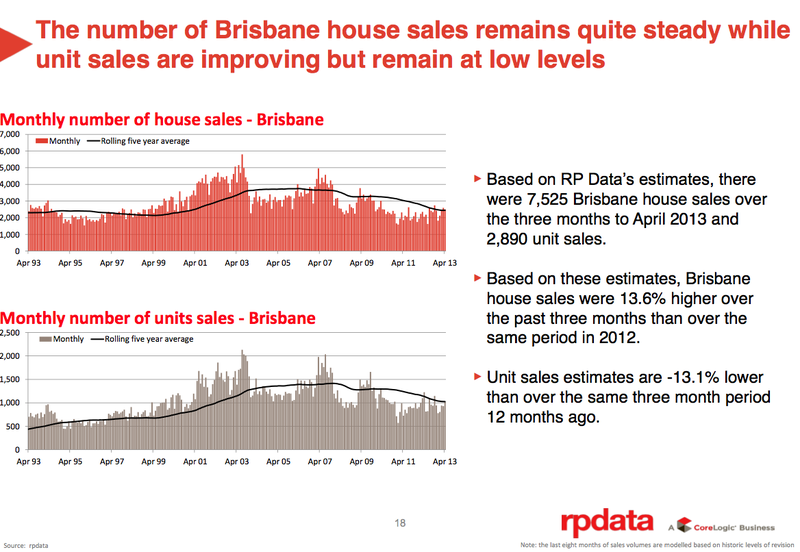 RP Data says that Brisbane will be flat for the next year. If that is the case, no rush to buy or to sell. Not good news for real estate agents, who rely on sales volumes to make a living.